Since its inception, Marketing to Farmers has tried to keep up with the social media Joneses. That means taking a deeper dive into Instagram, Facebook Live and Twitter, among others, to best understand how they may be of value to you and your marketing needs. It’s also been imperative to understand how farmers use social media. We know that farmers tend to use YouTube as their primary social media channel, finding value in it as an educational tool and to test the utilization of products and services. Other social media sites are used, but with less frequency. However, we recognize that what works for one might not be applicable to another. We have also come to accept that social media is a larger beast than ever before and continues to have a growing, if unpredictable, influence. Therefore, we have developed a few ground rules to help navigate which social media tools will enable you to achieve your objectives. Understand your own communication goals. This will help guide the best platforms to accomplish those goals. Determine if you’re seeking to generate new business, network, showcase your work, share stories, or distribute news and information. Understand the purpose of each social media platform. There is a tendency to lump all social media into one category of mass communication. 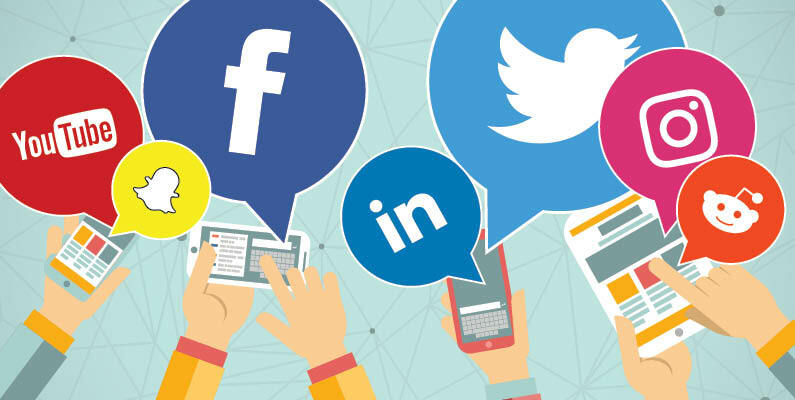 And though social media as a whole does that, each has a specific intent and manner of carrying out its message, as well as the potential to make an impact individually and to connect to each other. Twitter – online news and social networking website and app that is a text-based message with a limited character content and has the potential to share pictures and links. Instagram – photo and video-sharing app with a text component. Taken at face value, many social media channels are perceived to be a bit similar to one another. The website Hootsuite does them justice by categorizing social media into ten different types, from social networks (Facebook and LinkedIn) to media sharing (Instagram, YouTube, Snapchat, Vimeo), to discussion forums (Reddit). Create a messaging strategy that is reflective of the channel. The value of using social media is lost if the message fails to be correctly and purposefully sent. Messages, be they text-based, graphic, video or a combination, should have a designated intent. If any part of that is unclear, the goal simply will not be achieved or, worse, backlash may occur. Pay attention to where you’re getting a response. Social media is dependent on engagement, so the response and interaction you are receiving from farmers, agronomists, veterinarians and other businesses is going to be an integral piece of the pie. Note which tools generate communication and maintain that interaction. Building contacts and developing business leads are among the best things to come out of social media. Have a plan in place. Know how to handle missteps and develop a plan, in the event that you need one. And if there is any question or doubt, pass on the post. Social media has changed the way we communicate, not just with each other, but with the world around us. Take advantage of all that can come out of it and you will find greater connections and opportunities for your ag brand along the way.